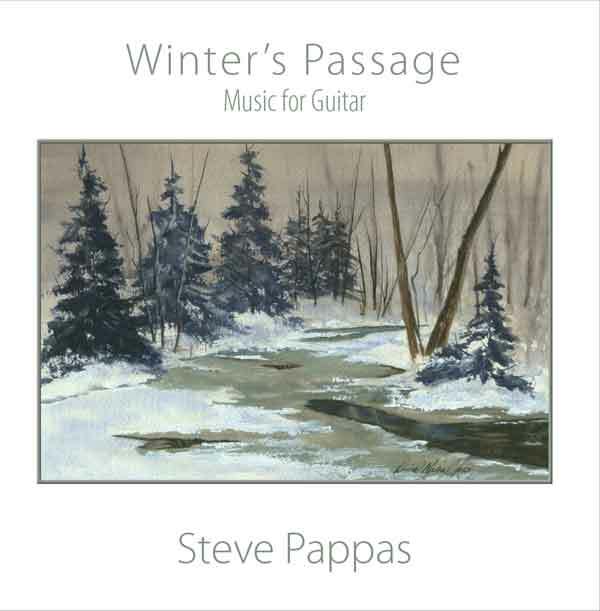 With revolving melodies emerging from Steve’s guitar, accompainied by swirling synthesizer orchestrations, Winter’s Passage gently embraces the listener. The music is as comfortable as a rocking chair in front of a fireplace on a cold night. This entire cd is fantastic. I’m an elementary teacher and I’ve been playing Winter’s Passage every day in my classroom. It’s soothing, calming and serves a gentle background even while I’m teaching. Each selection seems to evoke an emotion and some of my students have even started to choose their favorite track. 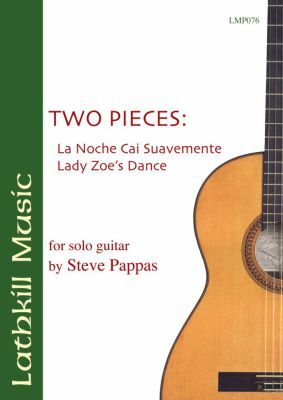 La Noche Cai Suavemente opens with a lyrical style combined with traditional Spanish elements of half-step tension and resolution and the characteristic Phrygian cadence. A players musicianship can be expressed in the sixteen-eight (L’istesso tempo) measure through the groupings of twos and threes as well as in the cadenza-like section with it’s combination of descending melodic line and a bariolage on the open first string. The piece requires a player to have a working knowledge of codas and repeats. Lady Zoe’s Dance offers a good introduction to the tuning often used to perform Renaissance pieces on the guitar- scordatura ( here, returning the third string to F#) and applying a capo to the third fret of the guitar. Lady Zoe’s Dance also captures characteristics of Renaissance music with its use of harmony and treatment of outer voices. The triplet section provides a nice contrast to the overall structure of the piece. Copyright © 2019 Soundhole Publication, ASCAP. All Rights Reserved.